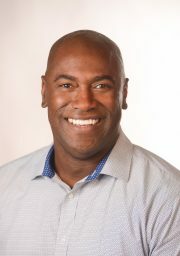 Neil Phillips is the Founder of Visible Men and the Founder and CEO of Visible Men Academy. Neil has over 25 years of experience as an educator, entrepreneur, coach, and youth advocate. Neil is regarded as a national thought leader and renowned speaker on black male achievement, minority education, character development, and youth empowerment. After receiving his B.A. in English and American Literature from Harvard University, Neil went on to play professional basketball in Australia. He has been an educational administrator for the last eleven years serving as the Assistant Headmaster at the Landon School for Boys in Bethesda, MD, as Interim Head of Upper School at the Out-of-Door Academy in Sarasota, Florida. 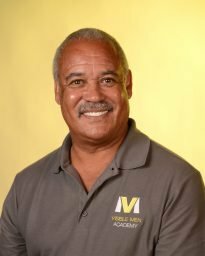 After serving as the Principal of Visible Men Academy for two years, Neil is leading the school growth and advancement initiatives as the Executive Director. Neil is an Aspen Institute Educational Entrepreneurship Fellow. He is a member of the inaugural Echoing Green/Open Society Foundations Black Male Achievement Fellowship. Neil is also a Nantucket Project Senior Fellow and was recently awarded the Nantucket Project Audience Award for his talk, “Race to Truth.” Neil has a diverse and well- esteemed public speaking background that has allowed him to present at the Aspen Institute, Soro’s Foundation, NASA, National Association of Independent Schools, The University of Miami, Leadership Florida and more. Neil serves on the Board of Directors for Washington Jesuit Academy in Northeast Washington D.C. and the United Way of Manatee County. He is an avid reader, cycler and sports enthusiast. He lives in Sarasota with his wife, Shannon Rohrer-Phillips, and their two young sons. A global leader, A. Louis Parker combines dynamism and clear vision with a gift for execution. With a record of generating $1.3 billion in profit and guiding strategic P&L turnarounds for GE, ADP, and IBM, he champions change, Lean/Six Sigma, and best practices to drive operational excellence, utilizing his leadership experience in the Electronic Security, Insurance, IT Hardware, Manufacturing, and Financial Services industries. Mr. Parker is best known for his rapid rise in multiple CEO positions at GE, which he joined in 1996, was appointed corporate VP by Jack Welch in 2001, and became a member of the chairman’s executive committee (to 40 GE executives) in 2005. Most recently, Louis left his great corporate career to attach the humanitarian crisis of education for boys of color by opening a K-8 free public schools for boys (Visible Men Academy) in the heart of the high poverty area of Bradenton, FL. He benefited from being an A Better Chance (ABC) student and attending Phillips Academy, Andover that launched his education and career and wants to provide the same opportunity for others. Mr. Parker earned his MBA from Harvard and BA from the University of Pennsylvania. He sits on the boards of The Executive Leadership Council Foundation and A Better Chance, and previously served as a director of Grain Communications Group and ScanTech Holdings. He also holds distinction as a NACD Fellow, NACD’s highest credentialing. 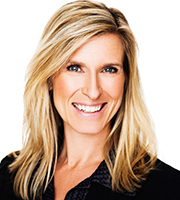 Cindy has over twenty-five (25) years of visionary leadership, development and marketing experience for both Fortune 500 Companies & nonprofit agencies. 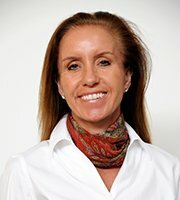 Previous to Visible Men Academy Cindy was a Project Based Consultant with the Aspen Institute for eight (8) years and top performing Area Business Manager for over a decade with Pfizer responsible for launching Lipitor into the US marketplace. Cindy was the inaugural Director of Development of Visible Men Academy from 2011-2015 responsible for creating and implementing all development policies and procedures, fundraising, grant writing, solicitation and the cultivation of the VMA donor base. In 2015 as Project Based Consultant, Cindy led the acquisition of a 4.2 acre lot working in cross collaboration with the Manatee County Commissioners, corporations, educational institutions, donors and the advocacy of twenty (20) nonprofit agencies.